The Caribbean isles with their astonishing nature, beautiful islands, and constant winds are the right choices if you want to rent a boat in winter months. The Caribbean area is well known as a little paradise with beautiful sandy beaches full of palm trees, hot sun, and amazingly clear water. The Caribbean area is well known as a little paradise with beautiful sandy beaches full of palm trees, hot sun, and amazingly clear water. Caribbean islands are surrounded by the Caribbean Sea, which is great for your sailing holidays because of its warm and clear water, stable weather conditions and variety of sailing locations. Renting a boat in the Caribbean allows you to visit well-known countries in this area such as the Dominican Republic, Cuba or St. Vincent and the Grenadines. In Caribbean, there are also some islands that belong to European countries, e.g. 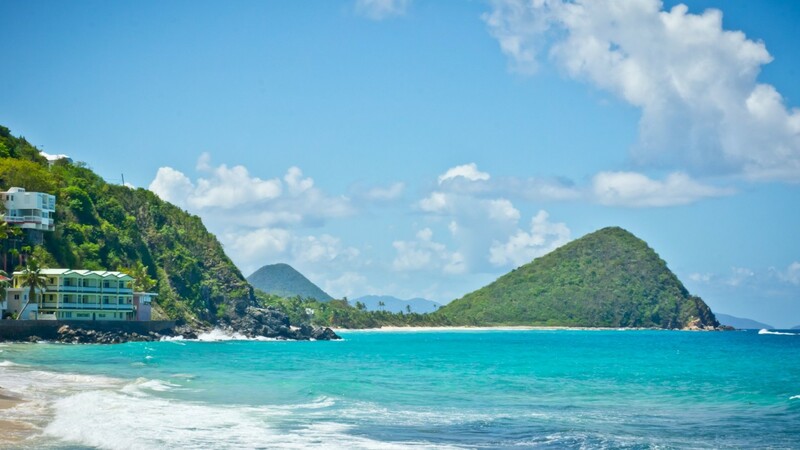 Guadeloupe or the British Virgin Islands. Into Caribbean area belongs also coastal countries such as Belize or coastal part of Mexico. Thanks to so many countries belonging to this area, you can easily find an ideal destination for your boat rental in the Caribbean. ✓ What to do in the Caribbean? If you do not want just to lay on the beach with a drink in your hand and relax in the Caribbean, sailing is an excellent option for you. Warm and clear waters of the Caribbean sea are ideal for all water sports, not just sailing. You can enjoy swimming, snorkeling, and free diving, or windsurfing. Waters od Caribbean sea is usually calm, you just need to avoid hurricane season. In order to avoid a hurricane season, renting a boat is ideal from November to mid-April. Hurricane season in Caribbean peaks approximately from Mid-June to the end of October. It is also possible to sail in the Caribbean during this period, but there are heavy rains on daily basis. Temperatures are also very high. Due to these reasons, you need to monitor the weather forecast even more conscientious. If you plan to explore this exotic location, it is necessary to have a Sailing experience resume. Most charters also provide CDW (Collision Damage Waiver) and DDW (Dinghy Damage Waiver) which are mandatory as yacht insurance. The Caribbean offers great water sports opportunities all year round as the water temperatures remain consistent. You can choose from over 500 charter boats for rent and discover fresh and colorful Caribbean cuisine, nature preserves and wildlife or sailing with flying fish. The most popular destinations to rent a boat in the Caribbean are The Bahamas, The British Virgin Islands or The Grenadines.